Element Hair was a proud supporter of the 2017 Women’s Crisis Services Of Waterloo Region Golf Tournament. The money raised by this event goes to help women and children moving beyond domestic violence and abuse. 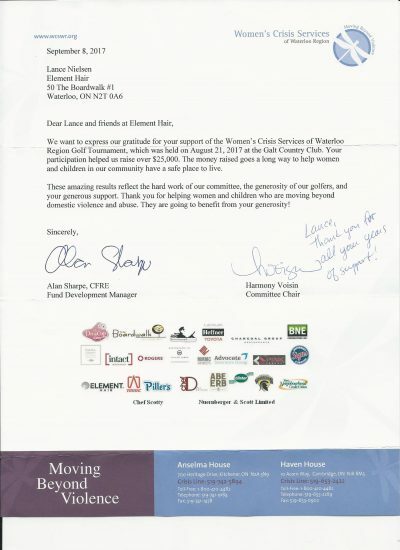 It was a great success raising $25,000 thanks to all who participated. $5 from the purchase of our Signature Argan Oil Hair and Body Wash and Rosemary Mint Shampoo, supports these important community organizations. 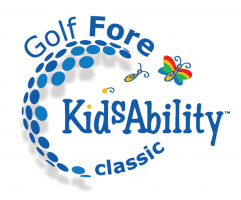 Join us in support of Kidsability and The Rotary Club of Waterloo. 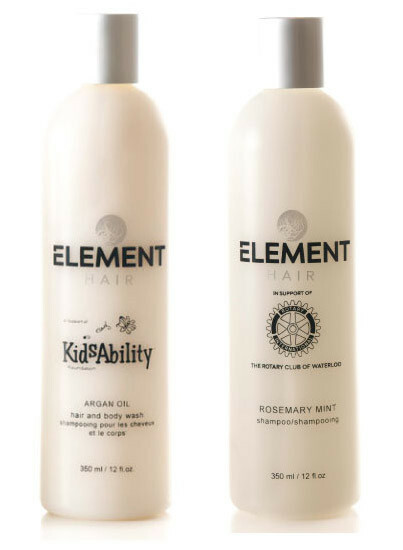 Stop by Element Hair today and purchase your salon quality, community minded hair care products! Element Hair | 350-1 The Boardwalk, Waterloo, ON. 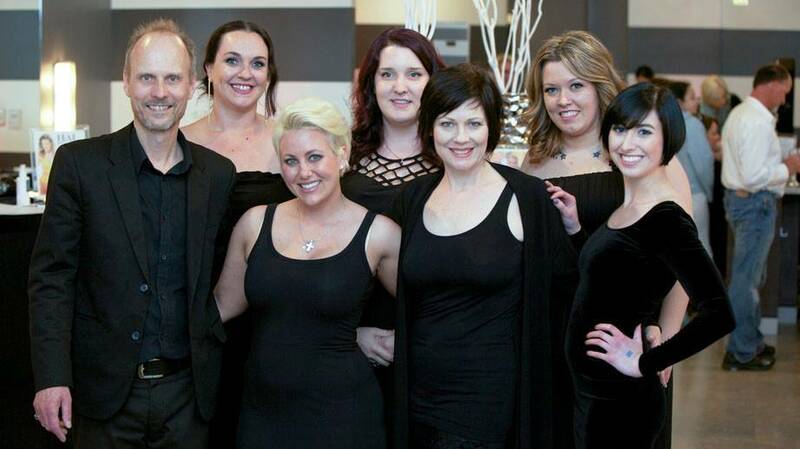 Click for a map of Element Hair’s location! You can also buy online here for pickup in salon or shipped to your door. 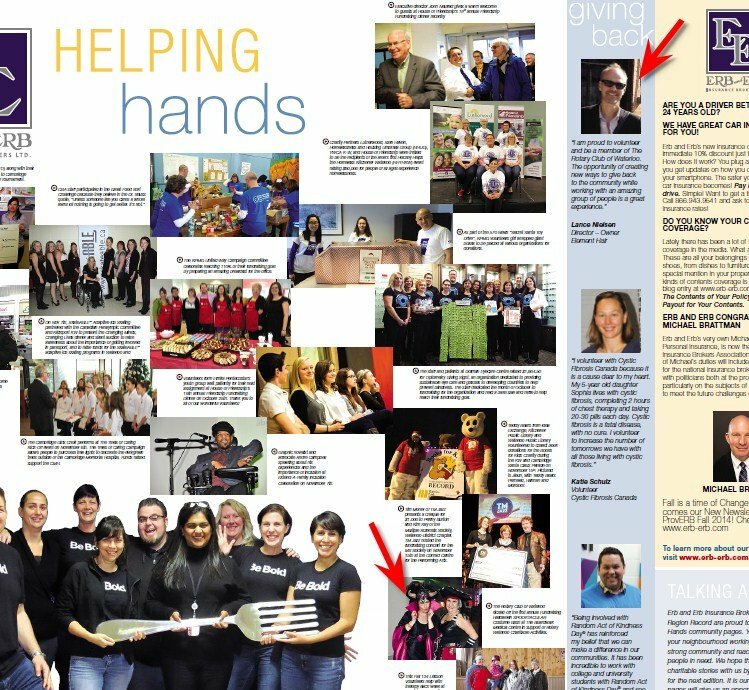 Directors and Owners of Element Hair, Lance and Kim, were featured in the Waterloo Region Record “Helping Hands” spotlight. 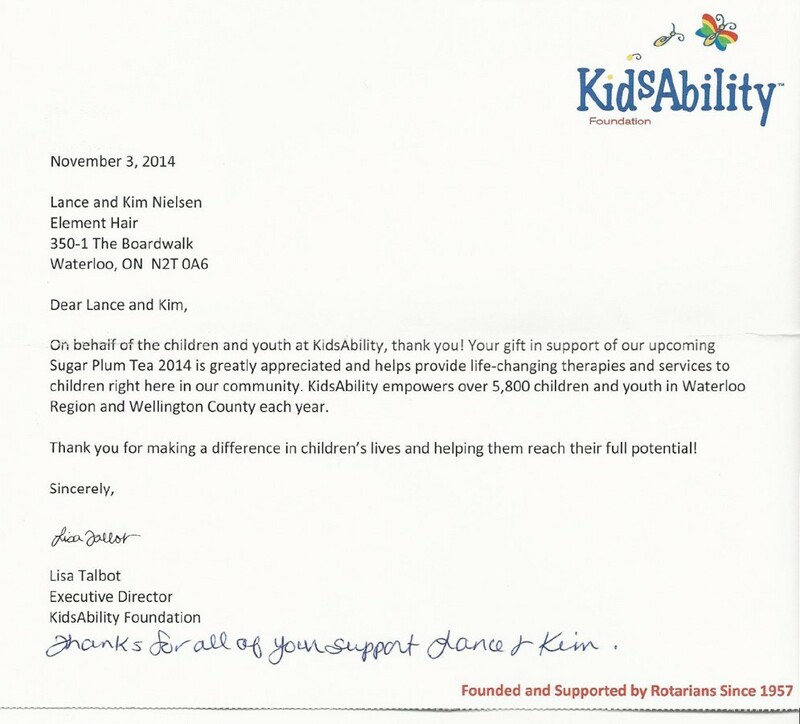 Click to open the Helping Hands PDF document. 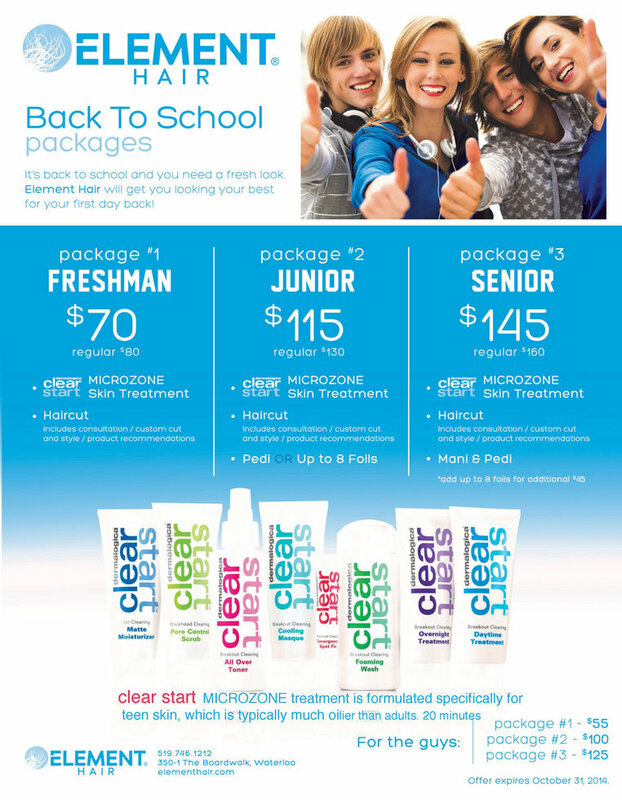 It's Back To School With A Whole New You!